Posted on September 23, 2014 by Amanda Evans Posted in Nourishing Food, Personal	. This weekend at our local farmers’ market, I was thrilled to see sign-ups for two things: the winter CSA (Community Supported Agriculture) program and the Thanksgiving pastured turkey order sheet. Yippee! Full Cellar Farm is our favorite nearby farm in Maryland to support [I’ve mentioned them in my commentary about the Standard American Diet (SAD) before and I often hashtag them with my weekly haul on Instagram]. They are not an organic farm (because there are a lot of expensive and ridiculous hurdles to go through to simply use the O-word), however they follow all the farm practices we believe in/look for. The farmers’ markets in my area will stop happening in early-to-mid-October as the weather changes. Thankfully, we do not have to go all winter long without fresh fruits, vegetables, meats, and eggs (sometimes, depending on the chickens) due to Community Supported Agriculture programs. 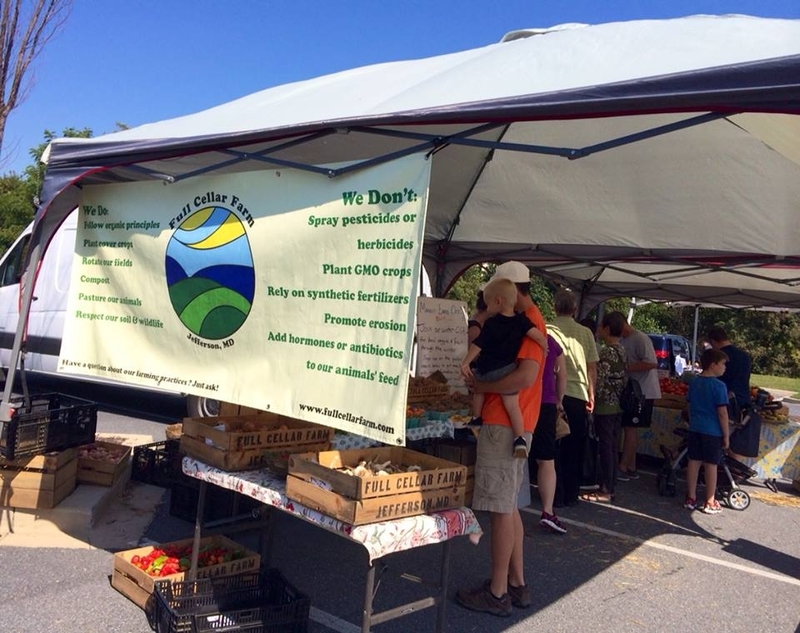 CSAs are a popular way for consumers to directly support a farmer’s local, seasonal food. Each farm may choose to run theirs a little differently, but basically the public is offered a certain number of “shares” they will be able to accommodate. Purchasing a share (or membership, subscription, etc) will give you wonderful seasonal produce each week of the season. Some farms deliver this “box” or collection right to your home while others arrange a weekly drop-off/pick-up time. You may get a variety of items that week, or just a large quantity of one or two abundant things. It can be a lot of fun to meal-plan what to do each week with the produce you are given! Again, there are many variations on CSAs because each farm is unique. Full Cellar Farm actually runs their CSA as a “market-style” or “mix-and-match” CSA, which I love. This is essentially like a regular farmer’s market, only it is set-up just for those of us who sign-up as shareholders. A surprise box isn’t delivered to our home each week; rather our favorite farmer, Kip, sets up in our library parking lot one night a week. We go over to shop and spend the amount we want (and they are usually so generous to add in one or two bonus items). We love having tons of fresh kale for as long as we can (perfect in this crockpot recipe with their whole chicken we buy as well) and other available items all winter long. 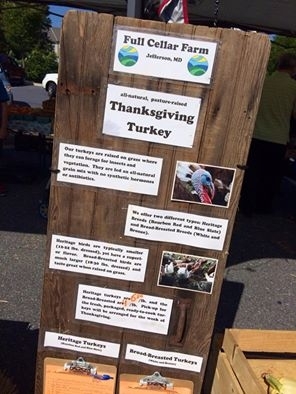 This week at the farmers’ market, Full Cellar Farm also put out their request sheet for Thanksgiving turkeys. Not just any turkeys. All-natural pasture-raised turkeys. If you haven’t tasted a turkey that was raised on grass, sunshine, and insects and wasn’t given any hormones or antibiotics, then you have never experienced the most-delicious turkey of your life. This year, we could pick a smaller Heritage breed (12-22 lbs. dressed) or larger Broad-Breasted bird (18-30 lbs. dressed). This will be the second year where we enjoy an amazing pastured Heritage turkey that we pick up the week of Thanksgiving. Not only was it mouth-watering and healthy last year, but we got almost 4 quarts of nourishing bone broth from it after the meal! Check out how I make bone broth overnight in the crock pot, if you missed it. 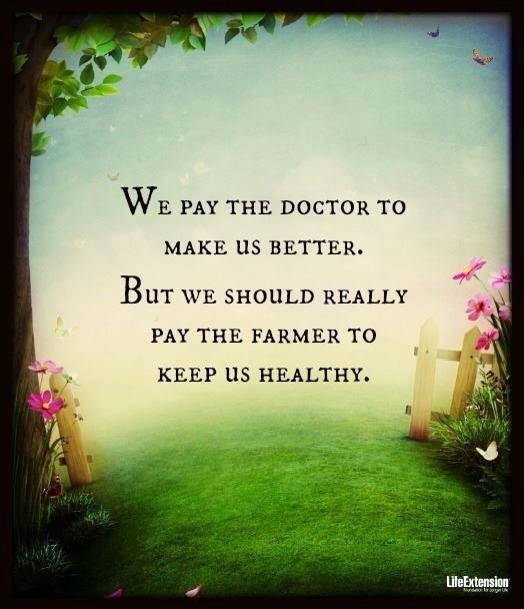 There’s nothing better than knowing and supporting your local farmer. When we say “farmer” to our two-year old, he says “Mr. Kip”. We were thrilled when he announced the birth of his first child and love having him greet us by name each week, knowing our favorite items. Find a CSA in your area by going to http://www.localharvest.org/csa/, pre-order a pastured turkey if you can, and be sure to thank your farmer every chance you get!